Or search for Coffee Koozie, Java Jacket, Beverage Wrap, Cup Cozy, Coffee Cuff for more ideas! Remember, these can be used for other beverages besides coffee! Or search for TISSUE COVER PATTERN for more ideas! Search FREE NEEDLE CASE PATTERN for more ideas! Sew Very Easy "Pillow Case with a Flap to Hide the Pillow"
The first 2 are great for beginners. The 3rd has a nice addition for those of you are willing to try something new. Great Teacher. You can piece the cuff with a row that you already have or embroider a design since the cuff backside is never seen. 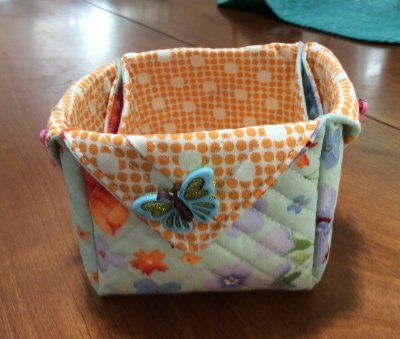 2-10 inch squares of fabric open box with fun buttons. Visit the Missouri Star Quilt Company for a free tutorial. Place your completed pin cushion in a paper bag, with your name inside the bag, at the front of the meeting room. Collect your fabrics or project according to the Swap theme. There should be NO Donor-Identity MARKINGS on the bag: Do not put your name or initials on the bag. You can put a sticker or symbol identifier known only to you on the bag. The sticker or symbol prevents you from picking up your own bag. Don't tell other Swap participants which bag is yours. Store logos are OK as long as they can't be traced to you individually. It's OK to decorate the outside of the bag, and might be fun. Add a small treat with your swap item(s), if you like. Bring the bag with the fabric in it to the designated WSQG meeting. Drop off your bag with the Swap Coordinator on your way into the meeting room. Pick up a bag on your way out of the meeting. A fat quarter (FQ) is one quarter-yard of fabric that measures approximately 18 inches by 22 inches. A quilt shop cuts fat quarters by cutting a half-yard (18 inches wide by width of fabric, normally about 44 inches), then cutting that piece in half at the fold. 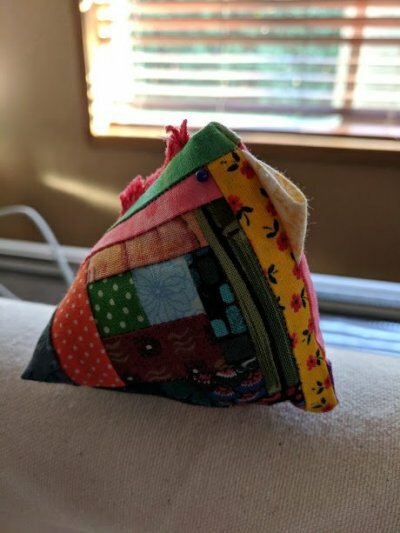 Fat quarters often provide more usable fabric for quilters than a regular quarter-yard cut, which is 9 inches by 44 inches. 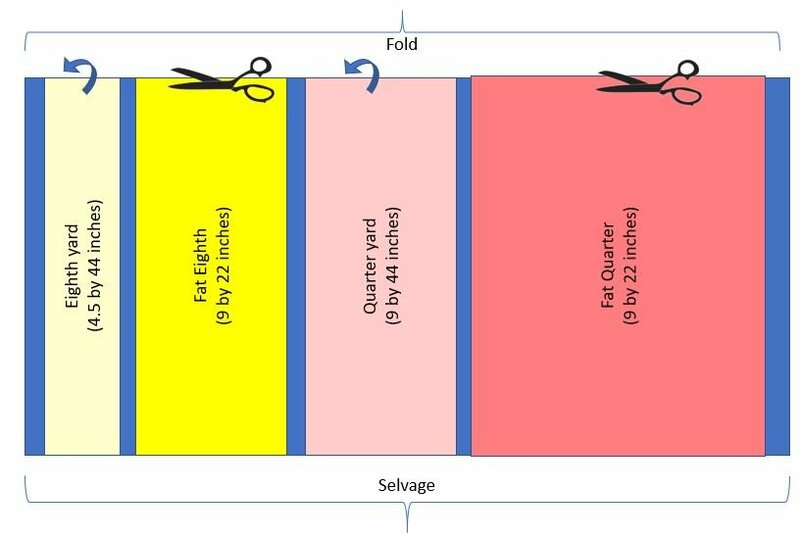 A fat eighth is a 9 inch by 22 inch piece of fabric (a fat quarter cut in half at the selvage). This size, again, yields more usable fabric for most quilting projects than a traditional 4-1/2 by 44 inch cut. Selvages are the edges of the fabric. The fabric manufacturer and designer names are usually printed along one selvage, along with the name of the fabric group or "range."